Hello and happy Thursday! 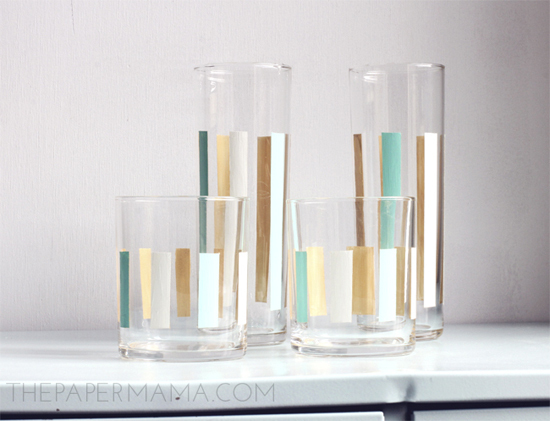 Last year I made these lovely glasses and shared them on the Better Homes and Gardens blog. These little glasses are perfect to decorate your holiday table and are so easy to make. They’s also be cute as gifts! So, this DIY reminds me that I need to share a reminder with you guys! Remember last year when my friend, Chelsea, and I made the Make Your Day ebook? Well, we put the book on sale through December 24th. Order the ebook and get 20% off plus bonus holiday material. Use code HOLIDAY20 at checkout. Our little book has the perfect tutorials to make your own Christmas gifts this year, plus it comes with a bunch of free printables! 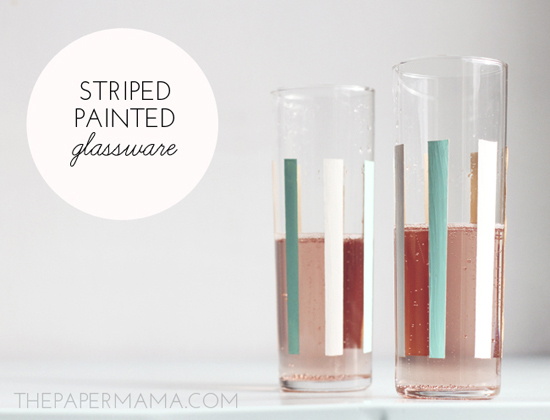 To check out the full tutorial of the painted glassware, head on over to the original post. To see the other 50 DIY Days of Holiday Crafts, check out this link. Oh my gosh, SO CUTE! These almost look vintage too! I love them and use them ALL the time.